Coto Valdorba was established in 1986 and since then we have gained valuable experience not only in the fascinating hunting world, but in the environment protection of our unique landscape, which has been catalogued by the EU as a Special Area of Conservation (SAC). We can definitely say that sustainable hunting is our goal. We offer you a wide range of hunting species, both wild and restocked, among which, the red-legged partridge (alectoris rufa) is the absolute queen. 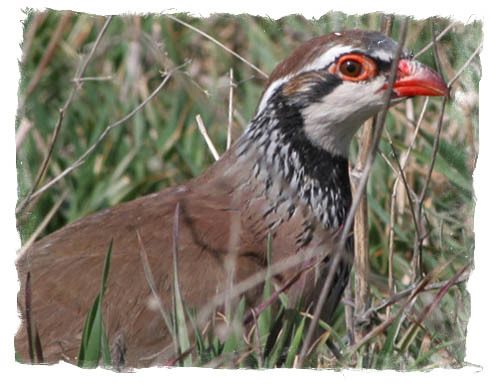 We only restock with native red-legged partridge, bred at our own facilities at Miranda de Arga. You will surely find the most suitable option for you among the varied hunting modalities available. 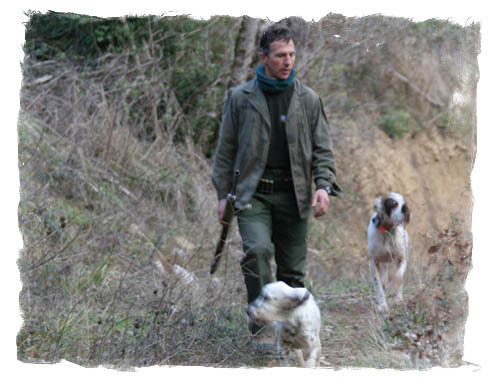 Our wild native partridges will ensure the most enjoyable time at this modality while enhancing your dog’s performance and the satisfaction of a challenging catch. This shooting modality is organized after agreeing amount of pieces and combined with walk-up shooting. 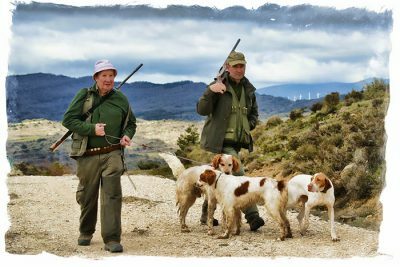 In Coto Valdorba we have available a reserve of 1700 hectares, exclusively appointed to shoot at partridge, rabbit, woodcocks and equipped with stands for passing pigeons. 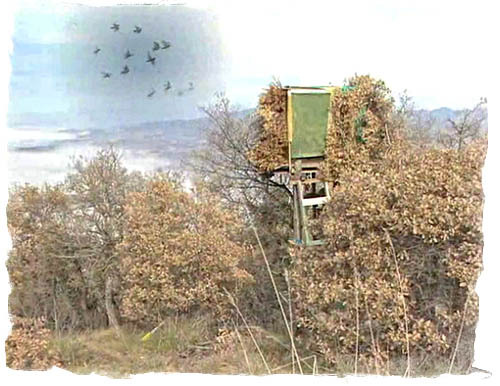 By selecting this option you will enjoy 20 hunting days, from the beginning of October till end of January. The landscape variety is very wide, perfect for well-prepared and tough hunters. 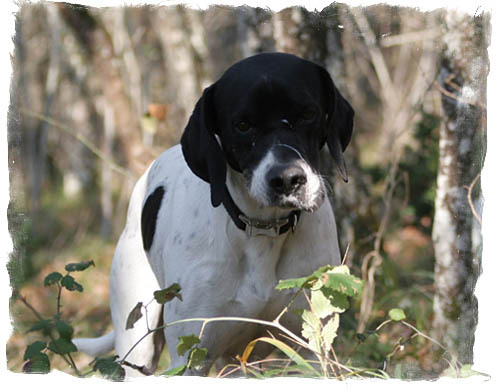 Special pheasants for hunting, well feathered and fast flying that will delight your dog. You can choose among a day’s forfeit, which establishes 3 pieces a day, select a several days’ forfeit (5, 10 or 15 days, three pieces per day) or a pieces’ forfeit (selecting the amount of pieces, without specifying dates yet). This is a tailor-made modality, at which the group establishes the amount of pieces and kind of pieces wished. You can have available either individually, from 20 pieces, or in groups, wild superb quails, which will challenge your dog’s performance. We have available several stands, equipped with two shotguns that will be assigned following strict request order. We organize releases upon request. One day card or season’s enrolment. 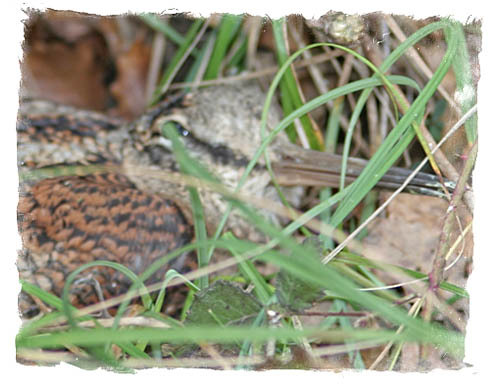 Partridge and pheasant: From September to the end of March. Quail and stock dove: All year round. Woodcock and wood pigeon: According to dates of the “Orden General de Vedas” in Navarre. From 100 pigeons, price/date (approx. 6€/p). Snack included. Hunting Preserve Olleta, 1 750 Has. – All taxes are enclosed. – 10% discount for passes purchased in September.